Spado is a brand that is now part of the Proven Orapi group. This recognized brand in the world of maintenance, hardware and DIY is now backed by a renowned manufacturer. This now gives it a product development capability and increased durability. 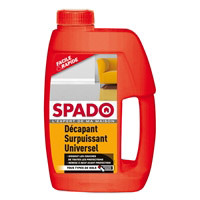 Spado offers the expertise and efficiency of a Pro brand to ensure the perfect maintenance of your home. Product efficiency is the essential value of the Spado ranges. Product quality is a major issue in order to respond as effectively as possible to the interview problems encountered by users. 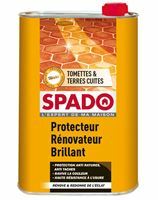 It is also the guarantee of guaranteed French origin products through the Spado innovations that hold the guaranteed origin France label. An expert and recognized brand in the field of hygiene and maintenance of the house. Effective products for the general public and professionals. Complete ranges that meet all the expectations of consumers. 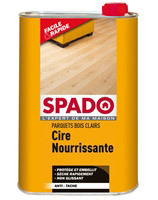 The product range covers sanitary, floor, kitchen and surface maintenance. Spado has developed and innovates through an environmental concern that is increasingly present. The main need of the private or professional users and to have products effective but without danger on their health and on the environment. Spado is also the presence of more and more important products with the European Ecolabel , the only label now recognized at the level of the environment by the European community. This implies a limitation of substances harmful to the environment and a total biodegradability of the product and recyclable packaging.